1. Saran Singh is a 1948 batch IAS officer belonging to Bihar cadre. 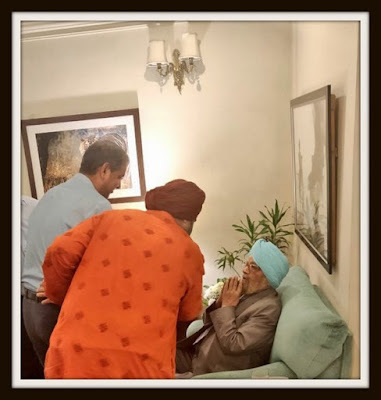 At 95, he is the oldest among all surviving retired IAS officers. 2. Singh was born in Peshawar, presently in Pakistan, in 1923. 3. He studied in Forman Christian College, Lahore, and excelled both in BA (Hons) and MA. He was a gold medalist in Punjab University for standing first class first in post-graduation. 4. During the World War-II, he served as an Indian Navy officer. 5. Like most other Sikhs and Hindus, he took a train to reach India during the partition. He was then selected as an IAS for which he appeared for the examination in Lahore itself. At that time, Singh and other IAS officer-trainees were trained in New Delhi’s Metcalfe House. The probation was for a period of eight months then. 6. He was allotted the Bihar cadre, with his first posting in Bhagalpur. He was an SDO in Gopalganj and was later transferred to Buxar. He served as deputy commissioner in Dhanbad. 7. At the Centre, he served as joint secretary, agriculture, and played a seller role in India’s green revolution. 8. Later, he was union secretary for steel and social welfare. 9. He was also the chief secretary of Bihar during the turbulent time of Emergency. 10. Post his retirement in September 1981, he was appointed as adviser to the Governor of Assam (1982 —1983) during the President's Rule. He now resides in Alipore Road, Kolkata.